[Europe-focus] If you’re looking closely at the super-cheap Medion S2218 that’s being offered in Aldi in the UK / Ireland today (next week in many mainland EU countries) you’ll want to just check through this – an updating post including reviews and feedback that you need to read before buying. Update: Mini ‘day 1’ review available at the end of this article. 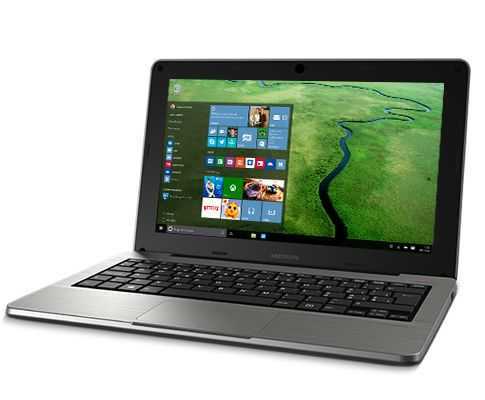 If you liked the idea of the ASUS X205TA, the compact fanless 11.6-inch low-cost laptop launched last year you might also be interested in the £149 Medion Akoya S2218 (MD 99599) laptop that’s at Aldi on Thursday in the UK. It will be available in mainland Europe one week later and I expect there’ll be queues at opening. Updated Medion Akoya P2212T Gets CPU and RAM boost. The original Medion Akoya P2211T/P2212T has been around since the end of 2013 but the version available in Germany since the beginning of March and coming to Australia at the end of March has a faster CPU and 4GB of RAM. This 2-in-1 Windows 8 tablet has been getting good reviews and, because of the 399 Euro price (about US$ 460 in pre-tax equivalent,) it will probably sell well. Baytrail-T is doing well in the tablet space and Baytrail-M seems to be hitting the mark in the modern-netbook space too. Full specifications and more here. This 11.6-inch 2-in-1 update to the P2212T came to the ‘Aldi’ supermarket chain in Germany on the 6th March for just 399 Euros which puts it in line with the big-selling ASUS Transformer Book T100. 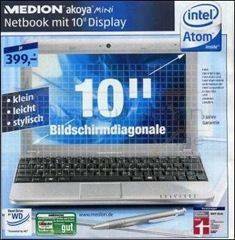 Aldi are likely to have shifted many thousands of units across their German outlets in an offer this month, just like they did with their early netbook in 2008. The 11.6-inch screen 2-in-1 is a FullHD model so it leans towards more mainstream use than the smaller ASUS T100 competitor. In sizing it sits side-by-side with the Dell Venue 11 Pro which is a lot more expensive. Netbookcheck gave the original P2211T an 83% score in a detail review and a quick glance through the review reveals that not only is there 64GB eMMc flash storage on board (SSD) but there’s a 500GB drive in the keyboard and AC support on the WiFi. The battery is good for about 10 hours. The updated P2212T has 4GB RAM and the faster N2920 CPU. The weight is a little disappointing. The tablet is 830 grams which is a lot heavier than a consumer will be confortable with for long-term consumption. Add the keyboard and you’ve got 1.7KG (3.75 pounds) which is 300gm heavier than the Dell Venue 11 Pro. It’s a unique product for the price through and perfect for 2-day conferences, weekend holidays, long journeys and even to be your ‘one’ PC. ASUS will be watching closely but it’s Acer that are likely to be watching even closer as they plan the launch of their updated W5 2-in-1. If you’re thinking of the single-PC solution though do be aware of the CPU and GPU limitations. This Celeron N2920 (Baytrail-M) at 1.8Ghz with 4GB is powerful enough to get you through web-based work, YouTube, Office and even some basic video and photo editing but there’s not much power in reserve here. The graphics power won’t let you play too many Windows PC games although you’ll definitely find something to keep you amused in the older PC and flash-based games. It also sips more power than the Baytrail-T (Atom Z3000 series) variants. Overall we’re talking about a lot of PC value here. The Medion Akoya P2212T update is the best of the variants if you can find it. 4GB RAM is going to be worth spending money on if you plan to use this as PC for more than just web browsing. The bigger story here though is that Windows 8 touch 2-in-1’s have reached mainstream markets and, together with the 8-inch tablets it’s not difficult to work out that they are selling like the netbooks did too. Across the tablet and ‘modern netbook’ space the Baytrail platform appears to be hitting consumer requirements at the right price. Note: Not all P2212T’s have the new CPU and RAM configuration. We have seen one P2212T in Switzerland being offered with the N2910 and a P2212T with N2920 and 2GB RAM in Denmark. Double-check on specifications before buying. UK: P2211T: 349 pounds. P2212T not currently available. PC World have an English language preview of the Australian model here. ï¿¼This just arrived in my letter box. The Medion Lifetab P9514 was announced back in early September, but somewhat fell off of the grid since then. 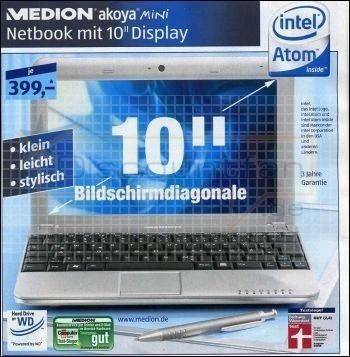 Apparently Medion is now pushing the tablet out in time for the holidays, in Germany at least. The Medion Lifetab P9514 is rocking the obligatory Tegra 2 alongside Honeycomb 3.2. This is a 10″ tablet with a 1280×800 resolution, front and rear cameras, built-in 3G connectivity, and 32GB built-in storage. From what I’ve been able to find, it would appear as though the tablet also includes certified access to the Android Marketplace, which is always a plus. For ports, there is MicroUSB, MicroSD, 3.5mm headphone, and micro HMDI. The Medion Lifetab will be available from Aldi (a German supermarket chain) for â‚¬399 with a release date starting this coming week. It’ll come with a 3G SIM card as well with data options of â‚¬1.99/day or â‚¬14.99/month for access. An easy deal. Pick one up with your milk at Aldi next week. ?This just arrived in my letter box. The Medion Lifetab will be available from Aldi (a German supermarket chain) for €399 with a release date starting this coming week. It’ll come with a 3G SIM card as well with data options of €1.99/day or €14.99/month for access. Akoya Mini first impressions. Not Ultra Mobile. Near-perfect! Thousands and thousands of people been testing the Medion Akoya Mini out for the first time in Germany, Austria and Holland over the last few days and I’m sure there have been quite a few photo galleries, unboxing videos and first impressions. I’m one of those many and as most of the owner-reports will have been in German or Dutch, Iit makes sense that I put my own thoughts out in so that people get a feel for how the UK version might be (there’s no confirmation on this BTW) and how the sister device, the MSI Wind might perform. I’m going to take it from two angles. First, a general look to see how the device sizes up for the average buyer and secondly, a look at the mobility features which are important to many people reading UMPCPortal. Before I start, a word about the average buyer. It looks like the average buyer will range from young to old, from home to office and from work to play but in most cases I think buyers are computer-literate and realise that this netbook isn’t ideal as a primary computer. I spoke to a Mother of five in the queue at Aldi when I bought it and she was buying one for her son who needs it for studying. I saw a 50+ guy with one under his arm and since I’ve had mine, all the family have expressed interest for different reasons. My brother thinks it might be good as a second, travel-light work PC. My wife also thinks it will be good for her health company presentations and my mother’s eyes lit up when I told her it would connect to a normal monitor and keyboard and that it was more powerful than the big, noisy, hand-me-down she was using to check her emails in the spare room at home! I suspect this profile matches over 90% of buyers and for these users, the Medion Akoya Mini is near-perfect. As for the mobility users and the others (with big fingers or high expectations,) there are major issues. This isn’t an Ultra Mobile PC. Let me take you through my first impressions and you’ll see why. Everything is easier when you are first in the queue! I was waiting outside the supermarket at 0730 this morning wondering whether I had the right time and the right place but thanks to the second person in the queue who knew the people working at the shop, we found out that there were Akoya Mini’s awaiting. By opening-time there were about 10 people waiting and four of us went straight to the cash desk to buy the Mini. I had a look at their ‘stock’ which was piled up at the cashiers feet. In total, about 6 devices on two cash desks. That looked to be about it! Despite that, it looks like many thousands of people across Germany, Austria and Holland got their hands on their first netbook this morning. I was home 15 minutes later and of course, have done some unboxing photos for you. I’ll leave the first impressions and video until later today as I’m supposed to be on holiday and we’re visiting Baden Baden today. I doubt I’ll get much time until this evening. Enjoy the photo set until then and if you need to ask questions, add them to the comments below and i’ll do everything I can to answer them over the next few days. I won’t be back at the home office until Sat evening (live video session anyone?) but i’ll do my best. Medion Akoya Mini (aka MSI Wind) just hours away. I’m away this week and so far It’s been a tough holiday for Internet connectivity. Not only am I with three generations of my family that don’t quite understand why I pull a mobile phone out every time we reach a town, but the villa we’re staying at, a fantastic wooden house on a hill in the heart of the Black Forest, is right on the edge of any sort of GSM reception. Every now and again I’ll get a bar of reception and a few tens of packets will fill the google.com/m pages that I’m using to keep updated. No, I haven’t been using a UMPC, just my mobile phone and my wifes notebook PC. I’ve had no time to write anything more than a short ‘I’ll get back to you soon’ during the day so there doesn’t seem to be any point at all in taking the UMPC. I can consume my important sources of info more easily on the N82 in these situations. If I need to do anything serious in the evenings, the notebook is available so again, there’s no point in trying to use something that’s going to make life more difficult. It’s easy to see how niche UMPCs are when portability and quick, inconspicuous, one-shot consumption are the most important requirements. Smartphones fit in so much more easily in these scenarios. UMPCs aren’t far away from my thoughts though as tomorrow I’ll be slipping out of the villa at 7am to head up to the nearest Aldi to check out the situation with the Medion Akoya Mini. I’m planning to turn up about 30 minutes before opening time (say Hi! if you’re in the Freudenstadt queue) seeing how many people are there and ask what they’re queuing for. If there’s more than a handful of people waiting for Akoya’s I’ll concentrate on filming the possible mad dash to the cashier. If I’m one of the first, I might buy one (I’m a bit undecided yet.) I’ll let you all know how it goes! 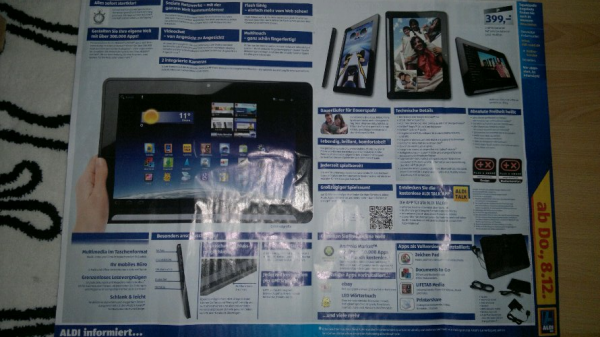 Aldi’s Netbook promo could achieve 20,000+ sales…in a few hours! There’s a wonderful institution called the ‘Aldi promotion’ here in Germany. Somehow this cheap, almost storage-room style supermarket with very few known-brands on the pallets has reached out to people from every walk of life. Aldi exists in other countries too but in the UK, you certainly wont find the chattering classes in there. I heard that it got the seal-of-approval from some A-class German celebs a few years back and since then, everyone is in there. I don’t need German celebs to approve it (not that I could ever spot one) because I was a fan from the first time I saw the special promotions. Twice a week they make a feature promotion. It includes food and other goods and is usually done on a theme. Italy, gardening, DIY or home entertainment and it works exceptionally well. People sign up for the email notifications, exchange tips at the coffee machine (‘check out the Chateauneuf this week, my friend says it’s worth twice that much’) browse the website and make sure they pick-up the brochure in the shop that shows the offers for the following week. On the day of the special offers the leading products usually sell out in hours. Queues at 7am are not uncommon and there often a push and shove to get to the products first. One man even pulled a gun when he couldn’t find his dream PC, so you can imagine, with 1600 ‘south’ shops and 2400 ‘north’ shops in Germany (I believe owned and operated separately by two bothers although I could be wrong on that one,) hundreds of shops in other countries and this amazing twice-weekly marketing pulse they have immense buying and selling power. 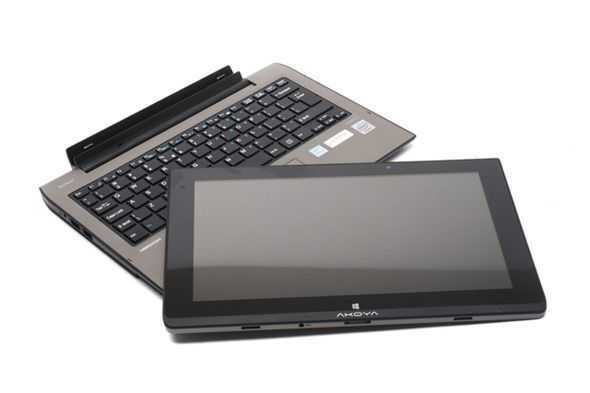 On the 3rd of July, Aldi will be offering the MSI-Wind-based Medion Akoya netbook with XP, the 80GB drive, 1Gb of RAM and Corel WordPerfect for 399 Euro. Its one of the cheapest PC’s they’ve ever offered and it’s in a market that has huge momentum. 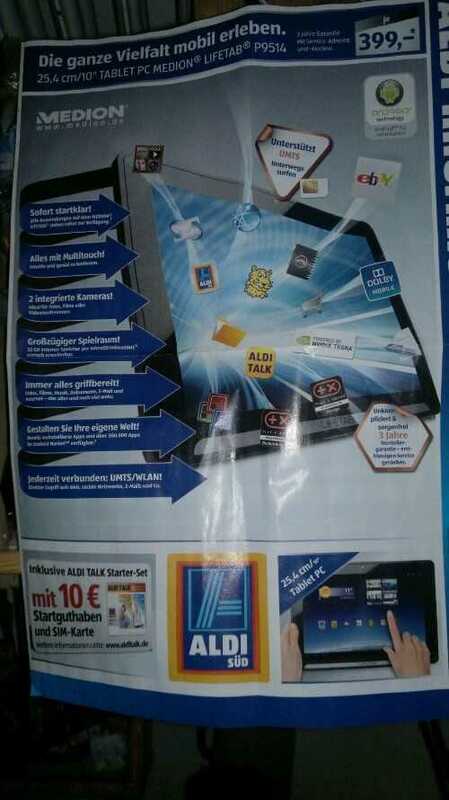 News stories about it Germany are flooding out and today, the first Aldi brochure scan was made. By my calculations it seems highly possible that Aldi could sell 10 devices in every one of the 1600 Aldi Süd (South, the North shops aren’t carrying it) shops. That’s over 15,000 netbooks in a day! Lets assume that they’ve negotiated deals for other shops and countries for the same week too. We could easily be looking at a 20-30K piece order with the OEM here. Amazing. I’d love to know how much they got the devices for! Apple sold 10,000 iphones on the launch day in Germany last year. 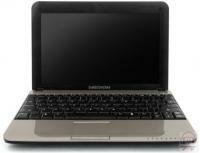 I bet this netbook beats that by a big margin so I’m looking forward to the news stories in the evening of the 3rd! News via Heise.de where nearly 500 people have made comments on the news item at time of writing! Click for Medion Akoya tech info and links.